Amanita Design says it's no longer interested in dealing with Microsoft after the software giant refused to publish the award-winning adventure Machinarium on Xbox Live Arcade because it wasn't an exclusive. Getting on Xbox Live is kind of a priority for most small, indie studios, so it's unusual when one of them goes in the opposite direction and tells Microsoft to get bent. That's pretty much what Czech-based studio Amanita Design did, though, after Microsoft apparently turned down its offer to publish Machinarium on Xbox Live Arcade. "We were already refused by Microsoft to bring the game to Xbox," Amanita founder and designer Jakub DvorskÃ½ told CasualGaming.biz. "They weren't interested because the game was already released for Mac and Windows, and Microsoft demanded it as part of an exclusivity deal." So that's that, as far as DvorskÃ½ is concerned. "We're not interested in Microsoft anymore," he said. XBLA may be out but DvorskÃ½ said PlayStation 3 and tablet versions of Machinarium are slated to come out later this year. The studio's focus will remain on the PC, however. "It's much easier if you create a game for PC and Mac," he explained. "Bringing it to consoles is a lot of hard work and a lot of hassle with companies." 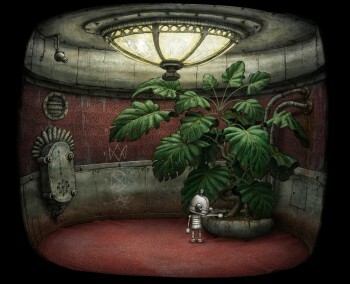 Amanita's maintained a bit of a low profile since the 2009 release of the stylish Machinarium but revealed over the weekend that it has three new games in the pipe, including a third Samorost title.